Real property is another term for real estate. Real property includes land or other properties and structures attached to the land such as buildings, houses, trees, landscaping, fences, etc. When you have a real property or land ownership dispute, negotiation and oral agreements may not be sufficient to protect your rights. You need experienced real estate litigation attorneys like KALIS, KLEIMAN & WOLFE to bring your case before a judge and help you receive a legally binding decision. The Commercial and Real Estate attorneys Neal Kalis and M. Scott Kleiman pride themselves on not just being lawyers, but being lawyers and counselors. They bring more than 50 years of combined real property litigation experience. If you are facing property disputes involving boundaries, easements or fraud, make sure you work the experienced South Florida real property litigation attorneys who can inform you of your rights and help you get the best results possible. 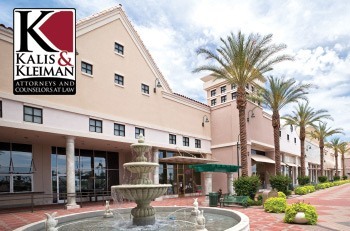 The real estate attorneys at KALIS, KLEIMAN & WOLFE also handles a variety of transaction and occurrences relating to the investigation, financing, acquisition, foreclosure, ownership, operation, leasing, and sale of all types of real property, residential, commercial, industrial, and conservation, recreational or open-space land.